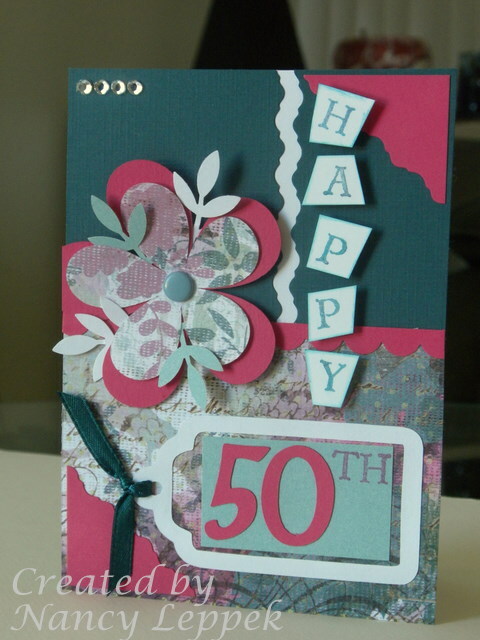 Here is a card I made today for a good friend who is throwing herself a 50th Birthday party tomorrow evening! Yes, you read that correctly! She is throwing it herself! If you want it done right, I guess you do it yourself. I also made this card for a challenge over at Stamp TV. Here is a link to everyone’s creations! In honor of Breast Cancer we were encouraged to make a pink card..this isn’t pink as much as it is rasberry…hope it qualifies!!! Thanks for spending a moment with me! Categories: cardmaking, Cards | Tags: 5oth birthday, Card making, Cards, Flowers, Gkd, gkdoct11erg, Happy Birthday, rubber stamps, Stamp TV Challenge, stamping | Permalink.